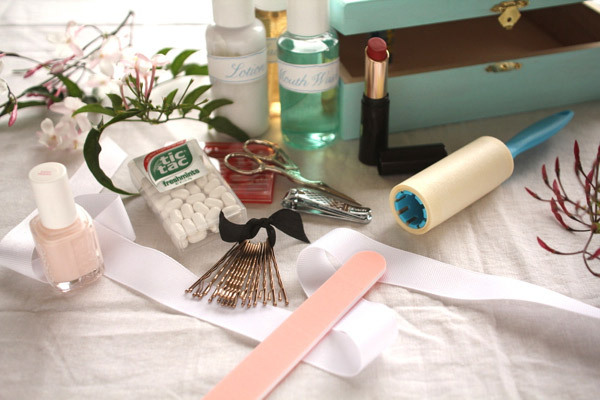 Hoy os traigo un DIY que vi en Oh Happy day! de lo más sencillo, útil y bonito para todas las novias. Se trata de una cajita preparada por vosotras mismas en la que las novias pondrán todo lo necesario para estar ese día perfectas. 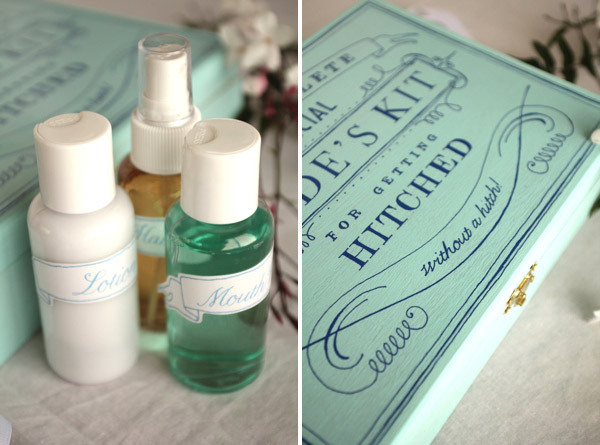 I bring today a very easy, nice and helpful DIY for brides that I saw on Oh Happy Day!. 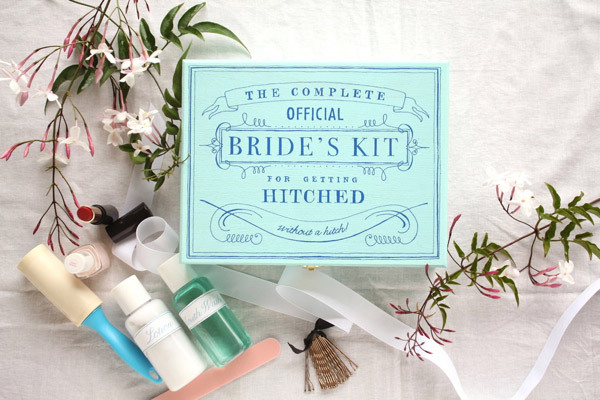 It’s a box where you can put all the things that you will need on your big day to be perfect!! 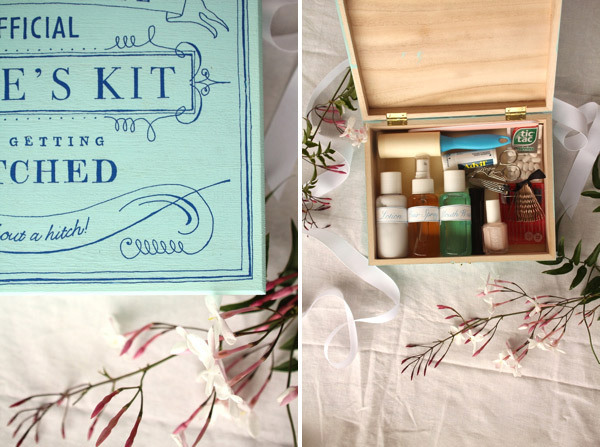 The kit can contain lipstick, perfume, forks, pins, mints, Kleenex… all the things that are essential to you. 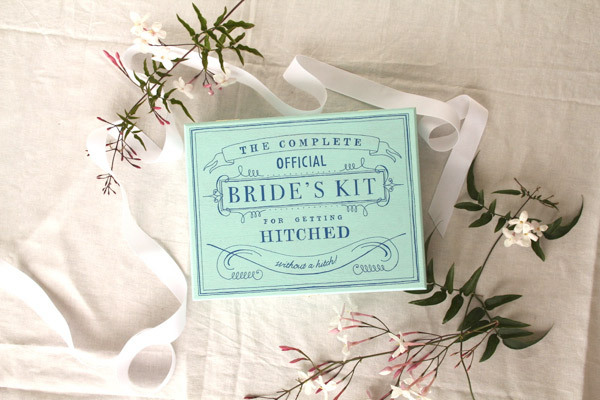 Then, you just have to give it to your bridesmaid in order to have it always ready for you!! Necesitamos una caja de madera que pintaremos de nuestro color preferido. Lets go with the DIY!! 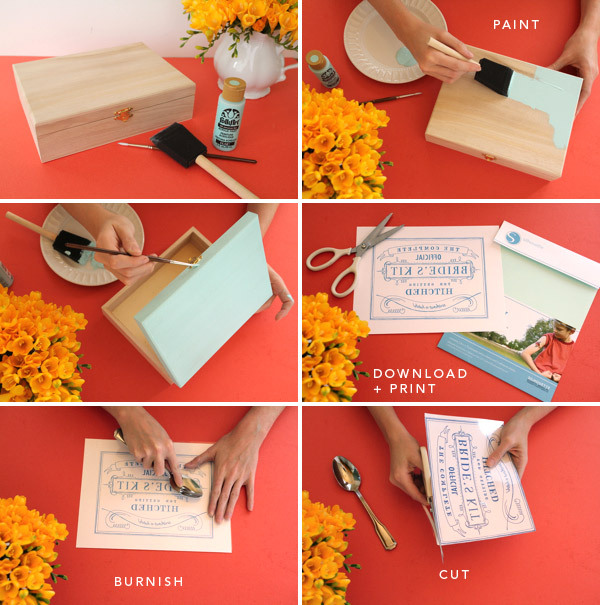 We will need a wood box that we will paint with our favorite color. 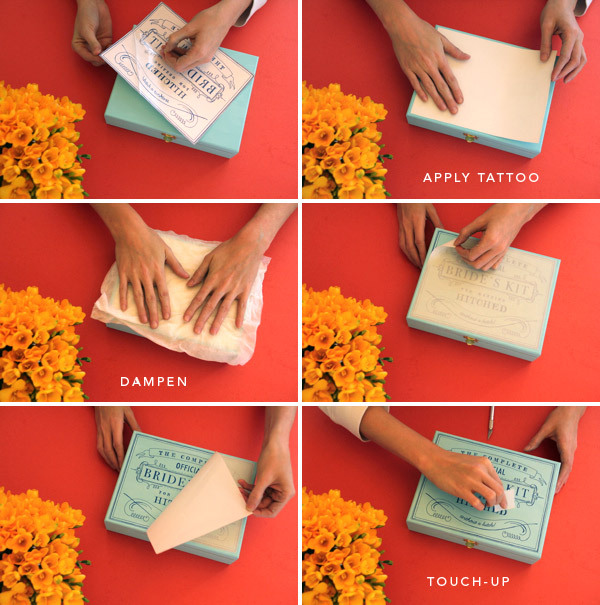 Then we will print the layer and tattoo it on the box and…its ready!! ¿¿Os gusta el kit??? Preferís una caja así u otra cosa para poner todas vuestras cosas?? Do you like the kit?? Do you like the box or do you prefer some other thing?? Que buena idea!! Yo incluiría aguja e hilo!La caja una monada! Los kits son muy útiles y encima si son tan monos como el que nos has puesto pues mucho mejor.